The Future of Online Gambling? Sensible online gamblers will always head to trusted websites and established industry giants, like the World Series of Poker (WSOP) to ensure they’re safe when playing online. In Europe, a 2018 EU directive will establish a need for a double-opt in for online marketing to ensure that those that are down on their luck and out-of-pocket don’t get bombarded with offers of free spins and chips that don’t have their best interests at heart. As happens when industries age, you can expect online gambling to become more regulated as the needs of the consumer are prioritised above all else. Those who enjoy betting on sport online should expect how they wager to change as a result of Blockchain Technology. We predict that a more decentralised system will come into play, which eradicates the need for a bookkeeper (who will take a cut of any losings), and gift more control to those placing the bets. Over the last couple of years, we’ve seen cases of sports tipsters deliberately encouraging gamblers to back the losing wagers. Online gamblers are (quite rightly!) not having it any more. Expect them to seize more control and, as above, more regulation to infiltrate the sports betting market. While we’re on the topic of cryptocurrency – the future of online gambling will most certainly see more and more use of Bitcoin and its competitors. The convenience and anonymity these currencies offer is a big draw to those who enjoy online gambling. The best websites should already be offering a variety of traditional and more forward-thinking ways to pay – and if they aren’t, mark our words – they will be soon. To keep players interested in such a saturated market – every aspect on online gambling is going to need to up its game. Graphics and game play will continue to be a major focus. 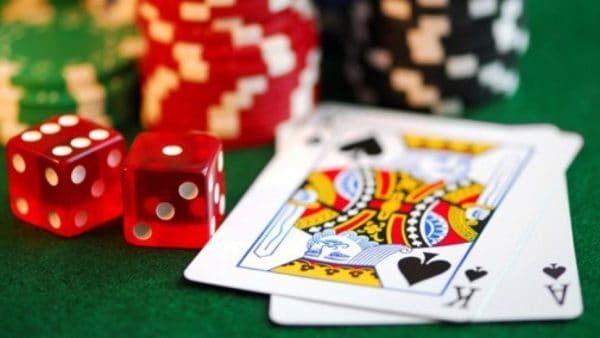 In addition, we can expect to see online casinos and gambling sites focusing on value for money and unique features and offers to ensure visitors remain engaged. Exciting times are certainly ahead for online gambling – we can’t wait to see what’s in store!